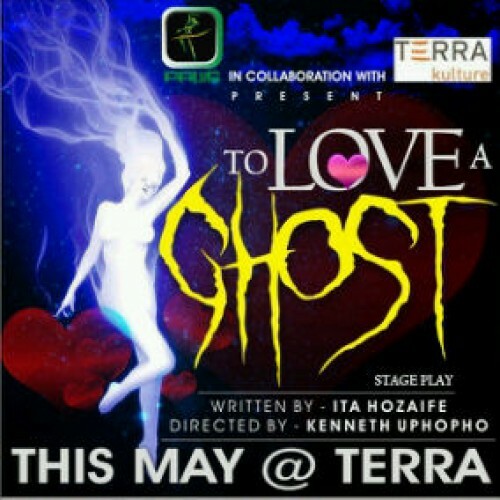 The stage play, To love a ghost will be showing this Sunday May 12 and every Sunday in May at the Terra Kulture, Tiamiyu Savage in Lagos. To love a ghost is a gripping tale about abuse shielded and nurtured by the depth of corruption of our society stemming from poverty. Lois, a young and naive girl has been betrayed by the very institutions that should have protected her. Time – 3 – 6pm. Tickets are available at Terra Kulture - N2,500 and N5,000 only. I'm about 4 weeks preggers for my boyfriend. We've been dating for close to a year and planning to get married by December '13/January '14. We've been planning our wedding and attending pre-marital counselling at Church though we're not formally engaged (he did not propose with a ring, that is). The problem is, I mistakenly got pregnant. Yea, it was out of carelessness. We are one of the most careful people ( so I thought) and I'm so disappointed in myself. Right now, I feel so much regret, anger and resentment towards my boyfriend. I'm not happy to continue this for 9 months. 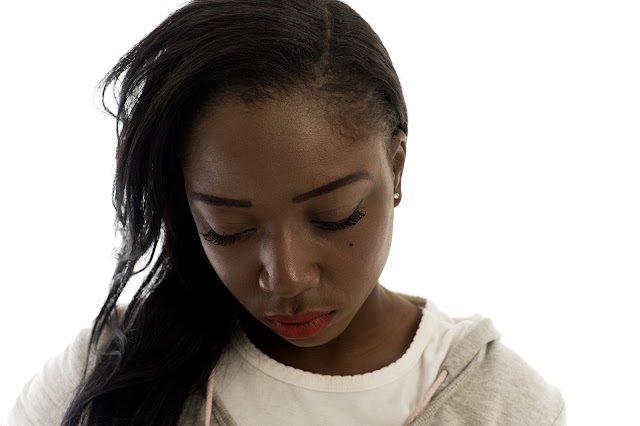 I immediately decided to abort the baby, but my boyfriend is unsupportive. He says his ex-girlfriend had an abortion in his university days and he promised never to do such again. I'm devastated because I'm not ready for kids right now. We both live in the US and my career is just starting. I just started a masters which is time-consuming and also interviewing with top oil & gas companies with good responses so far. No company will take a pregnant lady seriously. (Btw, I'm 26). I want to have a great career without hindrance. After featuring celebrities for the last few posts, the up close and personal Marriage Avowals from the people around the block are back. 1.How did you meet your husband? 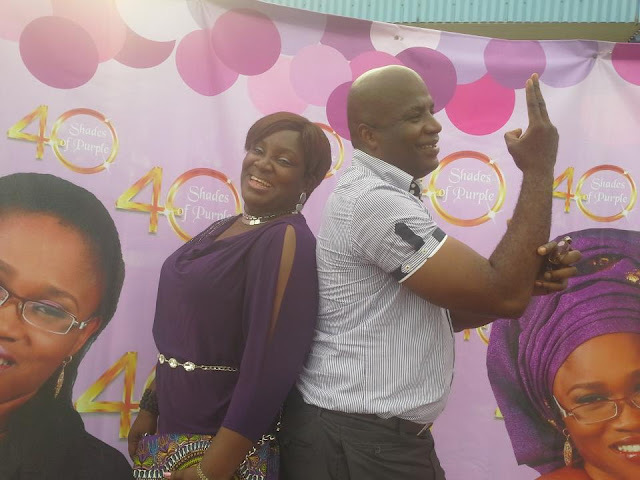 I met my husband 16 years ago in Akwa Ibom. I had just finished a training for intending volunteer workers in church and was confused about what unit to join, when this young man approached me and requested that I join his unit, which was the security/protocol unit so that I could work closely with the pastor's wife, whom I have always admired from a distance. I did not hesitate. I joined the unit and over time, we became close. We have been married for over 10 years. By September 13th this year, our marriage will be 11years old. Honey Boo Boo's mother has joined our line-up of non-traditional brides. June Shannon, called "Mama June" in the program held a commitment ceremony with her partner and Honey Boo Boo's father, Mike Thompson or "Sugar Bear", a name she coined for him. Well, the two exchanged vows, though they might not be legally binding marriage vows according to reports, last Sunday in their backyard. [see POLL, where is your dream wedding location?] 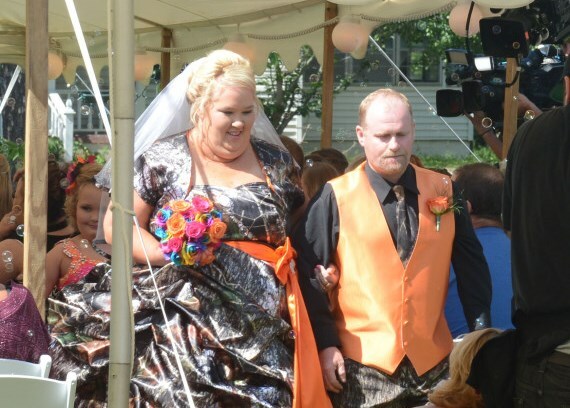 Mama June sported an over-the-top camouflage and orange tulle wedding gown. Same with her partner. 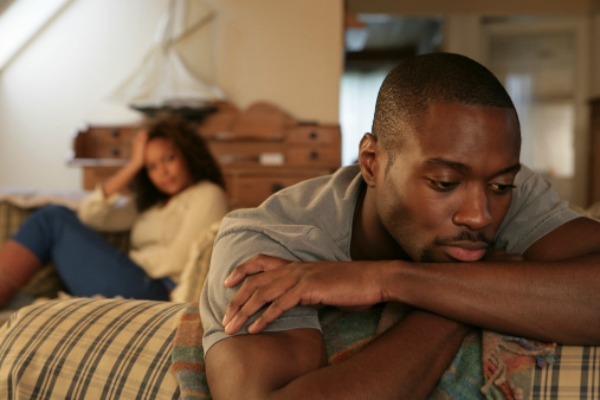 When couples have problems with their marriages, they usually go with the more usual advice they get from friends or family. Some couples go the extra mile to talk with marriage therapists, but much of the advice they receive is wrong, says author Mort Fertel. Fertel says advice that is logical and sounds good is often ineffective, and that reconciling a broken marriage is not an intuitive process. While I agree with the sense behind some of his teachings, most sound like he just wants aggrieved parties to an unhealthy marriage to remain in that bad situation and simply get used to it. The truth is that what works for one couple may not work for the other, and it would be best for each person to find what suits them. On that note, I'm sharing some of the tips Fertel uses to work with couples. Go at it ALONE. Most people think, "I need my spouse to work with me to fix our marriage." But it does not take two to tango. One person's effort can change the momentum of a marriage, and very often, it's that effort that motivates the obstinate spouse to join in the process. Surfer Who Lost an Arm to a Shark - Bethany Hamilton - is Engaged! Bethany Hamilton, the surfer whose arm was severed by a shark in 2003, is tying the knot. Hamilton announced her engagement to her boyfriend of one year, Christian youth minister Adam Dirks, on her website last Wednesday. According to a blog post Dirks wrote on Hamilton's website, the two met in 2012 through mutual friends and bonded over their strong Christian faith. On Thursday, Hamilton wrote on her Facebook page, "One year ago today, I met an amazing man, now we will spend the rest of our lives together and I'm soo excited! I love you Adam!" When Hamilton was 13, she was attacked by a tiger shark while surfing on Kauai's North Shore. Though her left arm was severed in the attack, she returned to surf competitions the following year. A movie based on her life, "Soul Surfer," was released in 2011. ... for women at least, feminism is generational, with the youngest women and those who came of age during the 1970’s feminist movement the most willing to use that label for themselves. The willingness of women to call themselves feminists depends on their age. 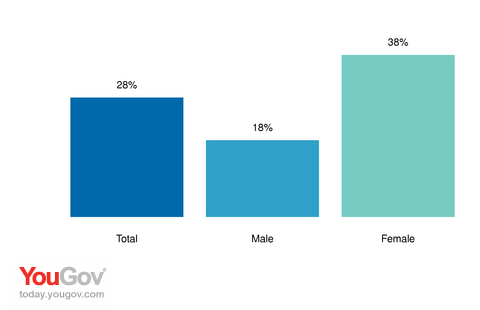 Only 28% of women 65 and older say they are feminists (the baby boomers now make up only a small proportion of this older group); 41% of women between the ages of 45 and 64 say they are. This group would have come of age and political awareness during the 1970’s, when the feminist movement was at its most visible and perhaps most active. 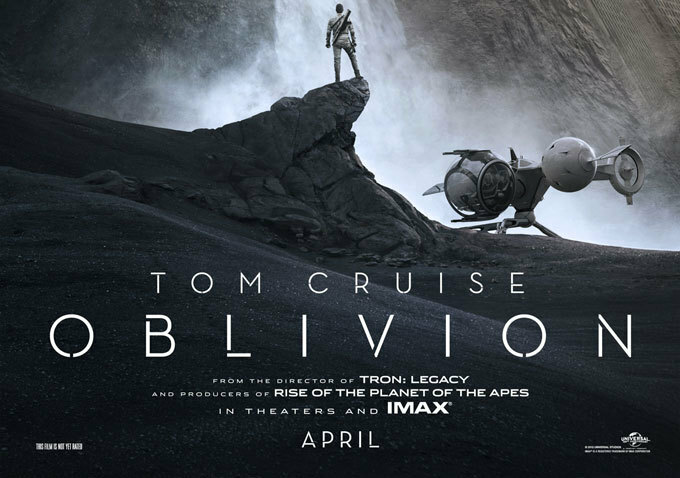 Oblivion, the movie, is set in the future, after a war in which Earth has been destroyed after a war with alien 'scavengers'. Cruise plays Jack Harper, a repair technician who is on a tour of duty on what is left of Earth; the rest of humanity has left for Titan a moon of Saturn. He and his partner Victoria (played by Andrea Riseborough) ensure that large hydrorigs that draw energy from the sea are in working order; they are aided in this duty by drones, which protect the hydrorigs from attacks by the scavengers, who supposedly still operate on Earth. Atala's Review - I wasn't really sure about this movie when I saw the trailers. I know that for some people, Tom Cruise is a reason to go to watch a movie, but I worry that this means the movie will be long on mindless action and short on substantial plot. In this case I was wrong, and I was so pleased to be wrong. The film starts slowly enough; we are treated to haunting, desolate landscapes of a wasted Earth as we watch Harper go about his day-to-day business of dealing with hydrorig failures. It becomes more interesting when he starts having dreams of another time on Earth - dreams in which there is a recurring image of an unknown woman. These make him wonder about what happened in the war with the scavengers, especially because his memory is supposed to have been wiped for security reasons. However, Victoria (who apparently is more than just a work partner) doesn't share his curiosity; she just wants to be done with the tour of duty so that they can both return to Titan for a well deserved rest. Janelle Monae just released the video to a single off her upcoming album, Electric Lady. She features Erykah Badu who has been a bit quiet on the music front. The song is another danceable tune in the style of Monae and the video just as creative. I really liked Erykah Badu's section, and the rap by Janelle at the end.